If yall have any questions about hunting in lampasas fill free to ask!!!! I just secured my lease in Kempner just east of Lampasas. Headed down there in a couple weeks to set up shop!! Can't wait!!! 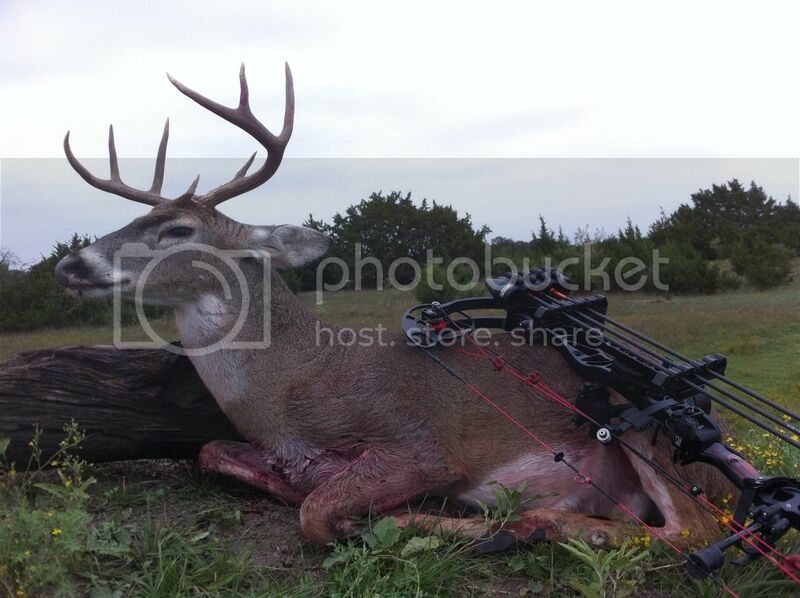 Use to hunt between Lometa and San Saba. Right as you get the river bridge on the Lometa side, there is a little road that looks like it would go down to the river on the right hand side, it actually goes to a little cabin. We hunted both sides of the road from the river back towards Lometa about a mile or 2. River bottom and orchards made for some good hunting. Sure miss that place. Wonder who hunts it these days. Google maps still shows our stands being there lol. 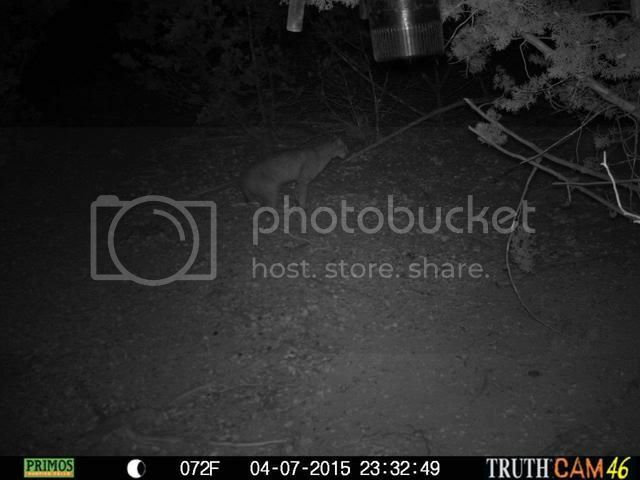 I hunt just outside Rumley, seen a few stray axis in the area last year. When I was stationed at Ft. Hood I used to see axis all the time in Kempner. 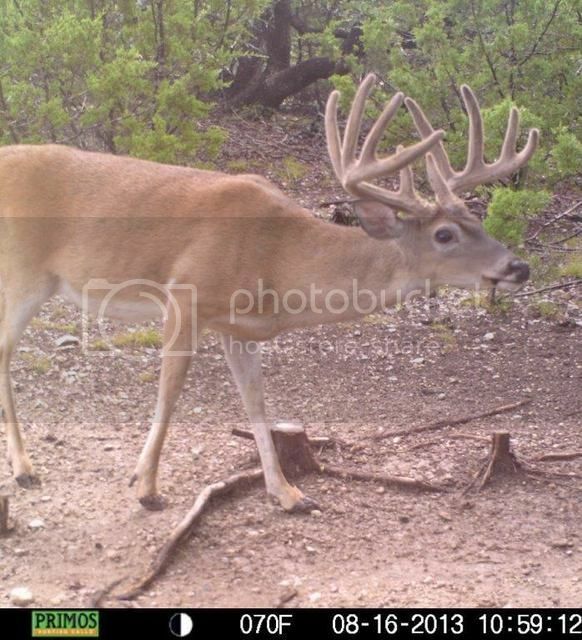 Ya I hunt 3 lease's in kempner and also hunt on my 10 ac back yard and see axis all the time. Any one hunting bandy craft's place???? Hunt across from Colorado Bend. The antler restrictions have done some good the past few years. There are also a lot of aoudad in the area now. Just wish we'd get some serious rain now. Last edited by MathewsMission; 04-14-2015 at 06:26 PM. We will have to get together for lunch sometime when we are both down there!! North of Lampasas here. Nothing big out this way. Bunch of little stuff..
Got to be pretty close to some of yall. We have a place about 5 miles past Rumley. My folks are buying a place about 10 miles outside of Lampasas. Our previous place was south of Seguin, so I'm not as up to speed on the more hill-country management needed in Lampasas. Do you guys get your protein from Brown Feed? Does anyone get bulk protein delivery around there? What do you guys do for food plots if anything? Do you guys plant millet or anything for dove/turkey? I'm excited about this place. I've seen turkey, deer, and dove both times I've been out there, and it hasn't been hunted in several years. It needs some significant cedar maintenance and some grading at the ponds, which we'll get on top of pretty quick, but we're trying to put together a food plot/feeding plan to benefit the deer, turkey, and doves. And I recommend to get all you're minerals and deer rocks and deer corn and deer feed at hoffpower ranch store in lampasas they sale that stuff cheap! Made it down there this past weekend. Saw lots of deer, one red deer, and found a dead hen. Kids had a blast!! I've been looking at a lot of properties online up around that area - I didn't think there was Axis but there seems to be from some of the posts here. What is best location to be looking for all of you familiar with that area? Prefer to have exotics. Just strolling down memory lane a little here - this was my first bow deer, from a lease we had close to Lometa two years ago. He was a little young for my usual decision making, but the weekend I shot him was the second of only two opportunities I had to hunt that year and we were getting off the lease at the end of the season so I decided to take the shot. It was great to finally get a bow deer after lots and lots of bowhunting with no luck. The double throat patch was cool too. I didn't get a deer last season and we ran out of venison about six months ago. 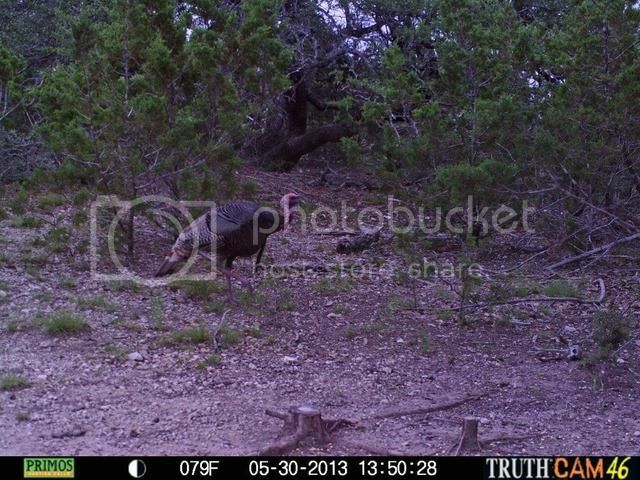 I can't wait to get back in the saddle our new Lampasas place and get some meat in the freezer. any one heard any Turkey's lately? Again while eating breakfast this morning on the porch the turkeys were gobbling in the oak thickets about 500 yards away. I just talk to them to play with them as we don't have a lot and the lease hunters around around us shot into my group of gobblers last year and killed about half of them. 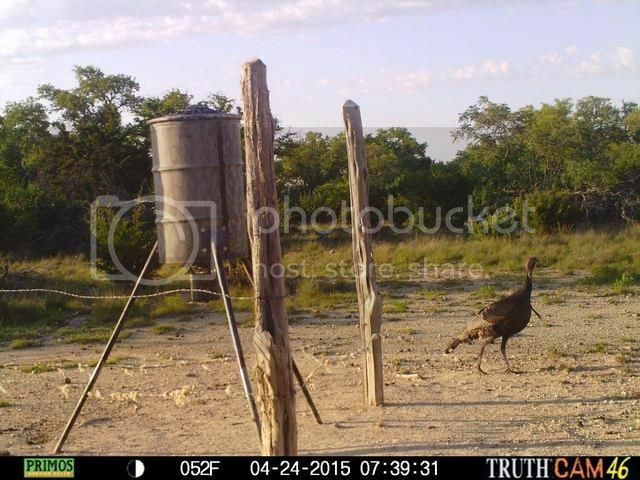 I used to have about 10 gobblers that would come to the feeder in the back until that happened. Here are a few pictures from this area last season and a few current pictures. 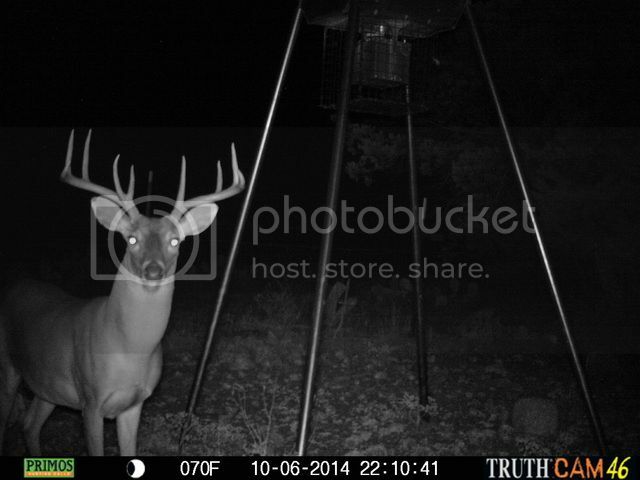 anyone seeing any new antler growth? I've just had this camera and feeder up a week, but got some decent shots. Also got a nice one of the sunset out there Saturday evening.